I’m trying to write more in February, and besides what I’ll write for work, I’ll also be writing about one of the few things I know about: digital media. Like this? Hate it? Did I miss something? Email me or @ me. News organizations are historically lazy when it comes to their customers. Journalists refer to themselves as “gatekeepers,” talk about the public interest in terms of how they’ll shape and inform it (and not in that it has its own agency) and will report endlessly on other industries’ layoffs and customer nightmares while hiding all of that coming from inside their walls. The shift from ad-revenue models to direct-transaction models will make this problem more urgent. First, a little background refresher. Now, there are understandable reasons for why media is traditionally not good at customer service. Journalists do uncover and report on things that matter to most or all of us, and that makes them a gateway through which (hopefully, vetted) information is transmitted. They deal constantly with people who want to suppress this, as well as the unwell. A lot of these customers are not individuals but advertisers, who somehow forget that they are adjacent to the news, not entwined. Newsrooms were generally walled off from not just advertising, but from any other department. That wall was helpful to prevent undue influence, but it was often taken by journalists as a reason to be antisocial or hostile to outside co-workers (and vice versa). 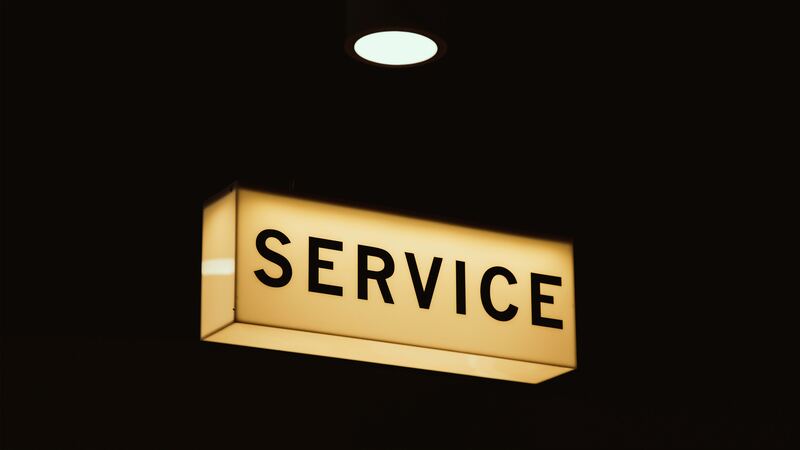 Not every customer service problem is intentional. That’s why it’s not an easy thing to get right, and having fewer people farther away, physically and philosophically, from the main operation makes it less likely customers will be served. For instance, when I worked in newspapers, we would have delivery problems go unresolved because of simple timing: The people who answered the phones left at 5, and our delivery folks didn’t arrive until at least 8, and many of those folks didn’t have email accounts, so notes weren’t being passed along. Simply setting up a system to do this (a process!) made this better and prevented the news side (me) from getting calls at 10 p.m. with cancellation threats. Outside my few years in newspapers, I’ve lost count of how many people I know who tried to support their local paper but found that it could not be delivered reliably. I’ve had multiple magazines, including a Time Inc. title, fail to deliver the bonuses they promised for subscribing. Now, is that lack of a tote or umbrella the end of the world? No. But they told a customer, pay us and you get X, not 75% of X. Worse still, my mom once tried to get a gift subscription for me. It never arrived. About 18 months later, and continuing till the present day, she’s received occasional issues she didn’t pay for — but to her address, not mine. Our big digital outlets struggle to serve users. Ever had a problem with Google services, Facebook or Twitter? Try to get a hold of a human. Try to file a complaint about content that’s inappropriate or worse. Good luck. Are you on a news site and would like to weigh in? Have fun with the comments section. Oh, there isn’t a comments section? How about emailing the writer or the publication? You might find an email, but that’s no guarantee. The saying “if you’re not paying for something, you’re not the customer; you’re the product being sold,” however cliche it’s become, still applies, even if it’s a dumb idea for digital media outlets to think this way. I am not the best at returning emails promptly, I’ll admit. But I do have a priority list. Subscribers are a priority. So are my co-workers and our partners. People who don’t subscribe and are just randomly pitching me? Not so much. Now, email newsletters are a controlled distribution process. I can generally have an educated guess at the value of the correspondent. But what if you’re a free, ad-supported websites? Is every (or any?) commenter or emailer or social media complainer someone who can affect the publication’s viability? It’s understandable why these sites are turning off comments — they can’t sustainably wade through all the comments to find the real humans who actually care. This is often looked at as a negative, and it can be. For instance, this mindset can be looked at as a reason to exclude the poor and unpowerful because they don’t lead to revenue. Media outlets that break relatively little news continue to concentrate in two boroughs of New York City, Washington, D.C., and a couple of other cities. I don’t want to downplay the cultural challenges of audience (and hiring) segmentation. But at its basic level, everyone segments their audience. Print newspapers limited themselves to a geographical area, partly because of logistics and partly because that audience best matched the ability to deliver news and make money. B2B publications limit themselves to an industry, or a subsector, because that’s the best way to focus on issues only a core reader (and advertiser) audience desires. This can be reader-driven, too! People are willing to pay for one person’s unique work in a way they wouldn’t for a broad-based publication for which that person was just one employee. Websites that have tried to be everything to everyone (Mashable) have found difficulty. And now the trend has swung back to the niche and, inevitably, personalization. Remember when I decried the lack of interest and investment in customer service? That mindset leads too many outlets, in print and digital media, to not invest properly in understanding their audience — the audience they have and the audience they want. What’s the short version of this post? Digital media is about niches, especially in pay models. The New York Times is less likely to be your role model than the Voice of San Diego or Stratechery or Skift. If you want to be directly supported, you need to own a subject, you need expertise, and you need to spend more time with your supporters, not less. Editorial cannot pay for itself through passive ad-supported revenue, outside of maybe some brief period in the 20th century and a few years in the mid-2000s for a few bloggers. You need people who support your editorial mission but can give you the best data, sell and fundraise, help you engage with your audience and help you identify and attract your next audience.